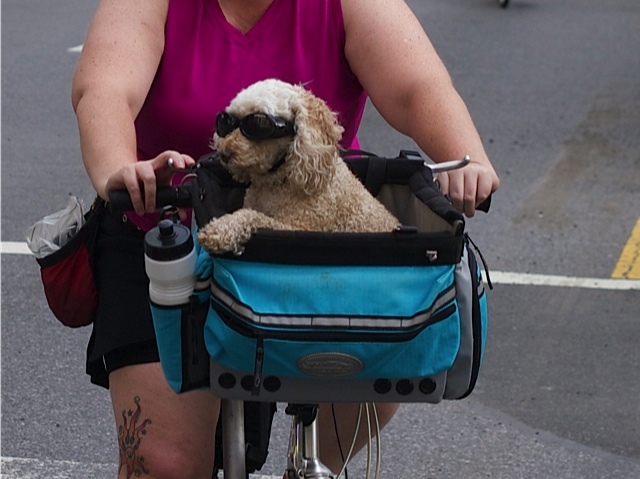 Goggles not only help to keep out road grit, but add style to any touring pooch’s ensemble. 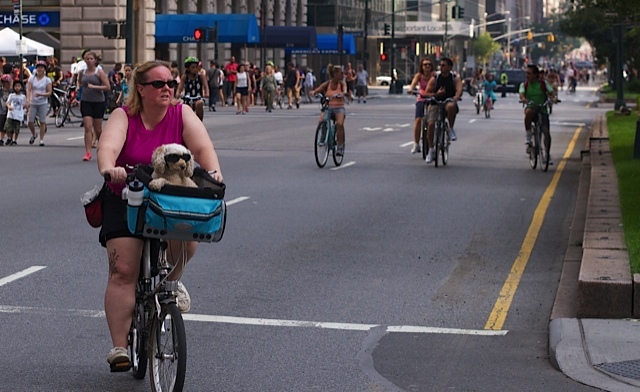 I love Summer Streets in New York City, three Saturdays in August when you can bike all the way from 72nd Street to the Brooklyn Bridge without dodging cars. 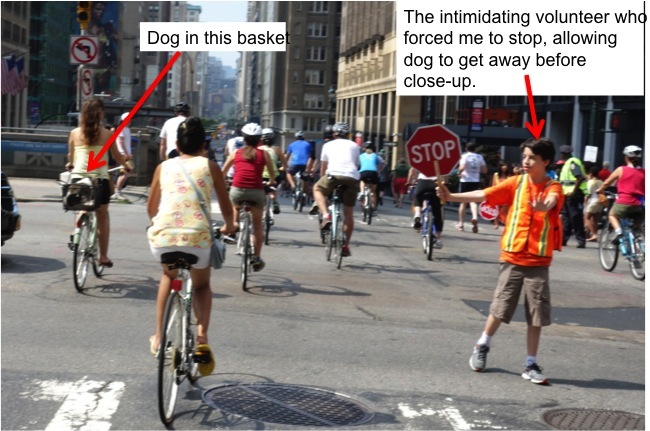 Dogs everywhere: in handlebar bags, baskets, and trailers, or running alongside or behind bikes.